After the conclusion of the Korean War and the establishment of South Korea, the fishing and agriculture industries were the primary economic generators for this new nation. Until the 1960s, fishing was such a top priority that South Koreans were often caught illegally fishing as far away as Africa. The fishing industry in South Korea is not large or economically influential. In most years, fishing activities contribute less than 1% to the overall economy of the country. The importance of fishing to the culture, however, is much greater than the economic impact it creates. As far back as 2005, South Korea had the 6th-largest system of aquaculture production in the world. What has affected the fishing industry since 1953 are the levels of inconsistency found in government policy. The South Korean government revised their fishery policies a total of 13 times through 1990, with the purpose to managing the industry as it grew. Times, however, are changing. The fishing industry is growing in production still, while contracting in terms of employment. That has created several unique challenges for the industry to face. 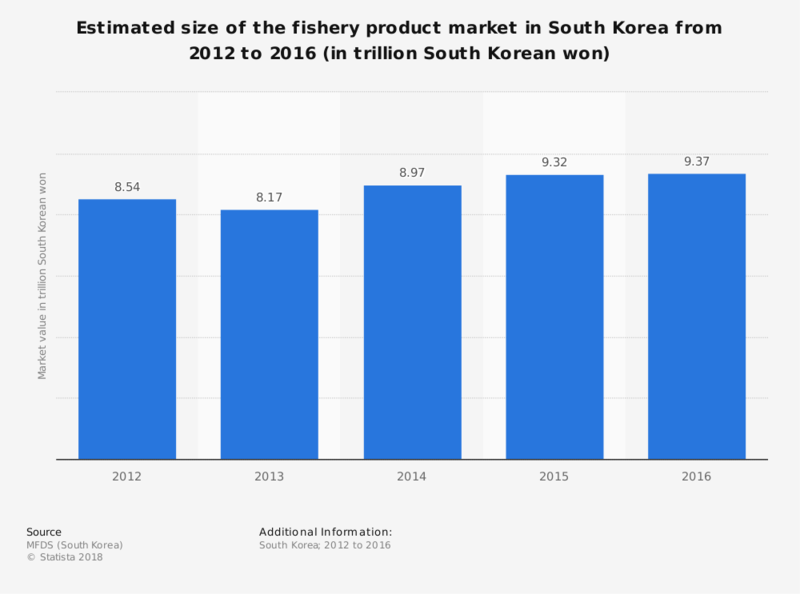 Although the trends show that products from the fishing industry are quite popular in South Korea, there is not enough domestic production to satisfy demands. The rates of rice consumption continue to decline as the population transitions to a diet that is richer in proteins. To counter this problem, South Korea has focused on creating an extensive system of aquaculture within the country. In November 2016, the Ministry of Oceans and Fisheries was able to report that 500 tons of salmon were successfully farmed for the first time. 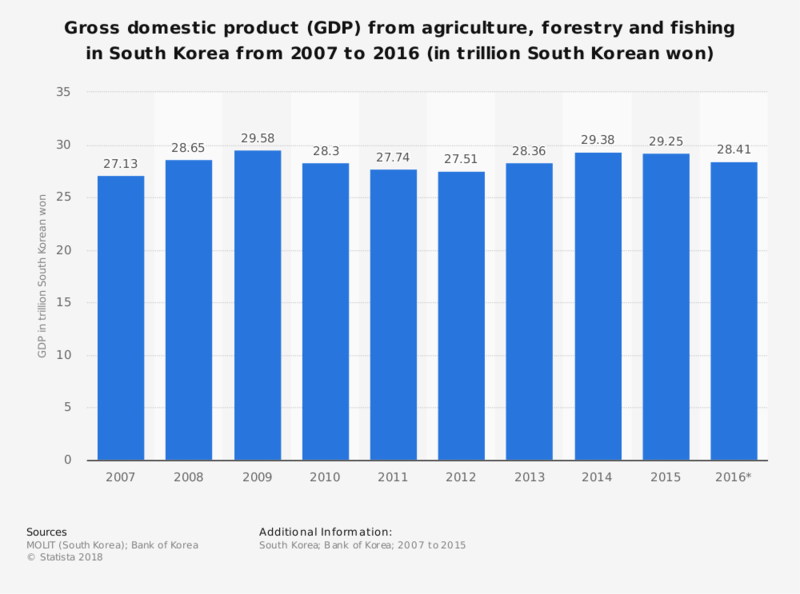 Their self-sufficiency rates have fallen sharply, however, in seafood, beef, and grain production, which has impacted the total value of the fishing industry in South Korea. Despite the many challenges which face the industry today, it continues to be one of the world’s largest producers of seafood products. As the aquaculture environment continues to develop and grow, expect the South Korean fishing industry to continue developing strength in the coming years.